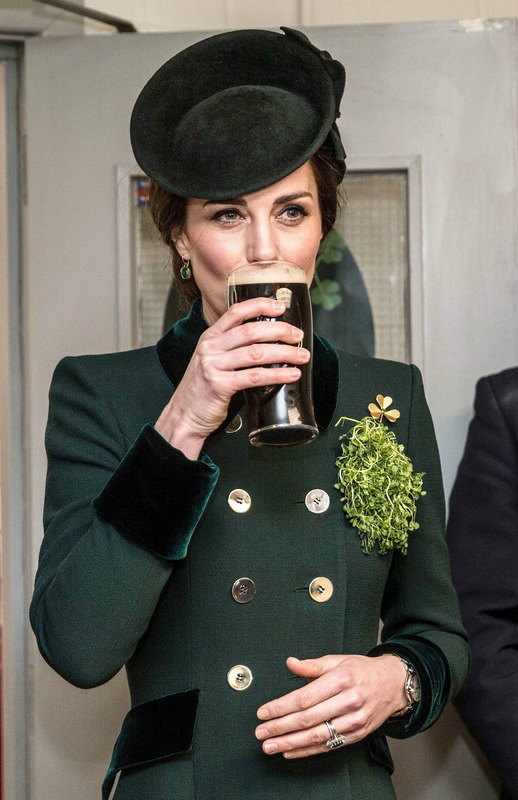 Kate Middleton and Prince William enjoy a pint of Guinness for St. Patrick's Day -- see the pics! Prince William and Kate Middleton are celebrating St. Patrick's Day in style! 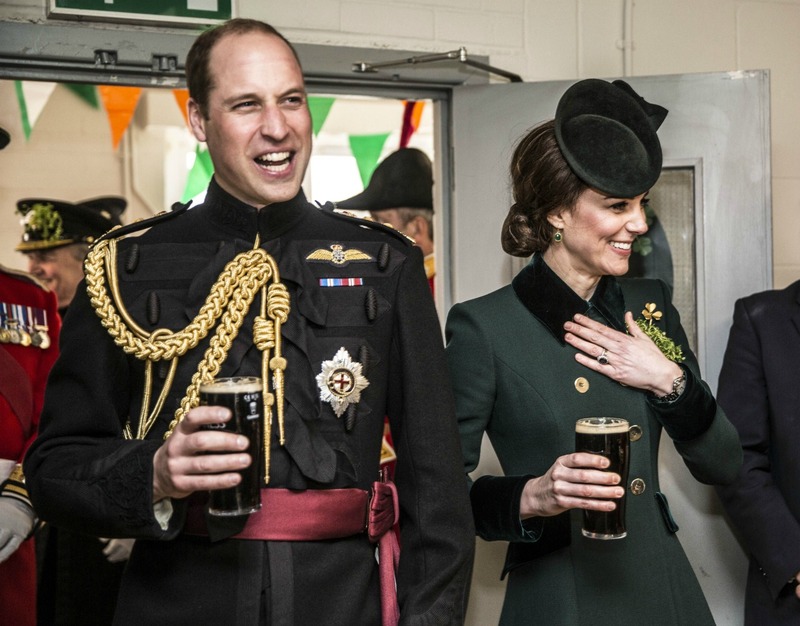 On Friday, the Duke and Duchess of Cambridge enjoyed a tasty pint of Guinness beer, while visiting with soldiers of the 1st Battalion Irish Guards, following the St Patrick's day parade at Cavalry Barracks in London. RELATED: Kate Middleton Greets the Irish Wolfhound at St. Patrick's Day Parade With Prince William: Pics! 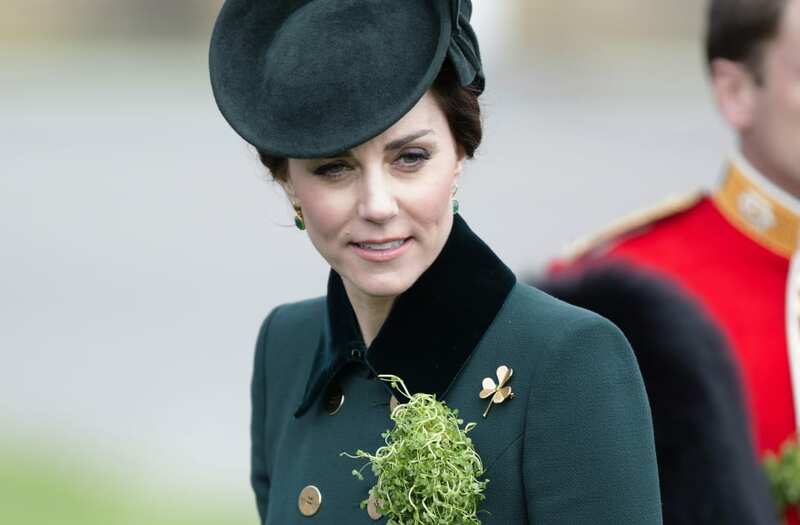 Middleton, 35, stunned in a green Carol Walker dress coat in honor of the holiday, while 34-year-old William wore his Irish Guards uniform. Hours later, the royal couple headed to Paris marking William's first official state trip to the city since his mother, Princess Diana, died in 1997. Kate donned the same green coat from earlier in the day, as she and William were greeted by French President François Hollande upon arriving at Élysée Palace.